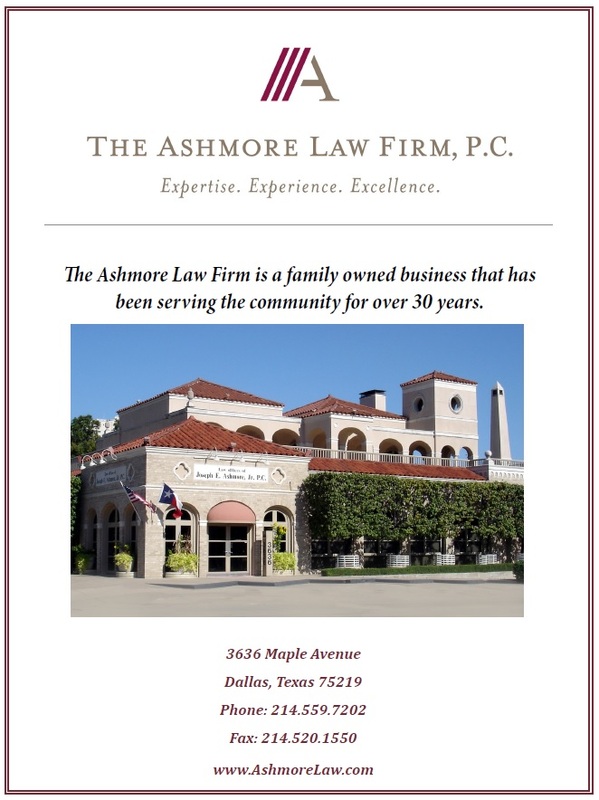 About Us: The Ashmore Law Firm in Dallas, Texas | The Ashmore Law Firm, P.C. Our philosophy has always been focusing on the individual needs of our clients and the unique details that each situation presents. We have attorneys with varying backgrounds and areas of expertise in probate law, personal injury law, family law and estate planning for individuals in the Dallas area. Learn more about our firm by clicking the image below for a PDF version of this article.